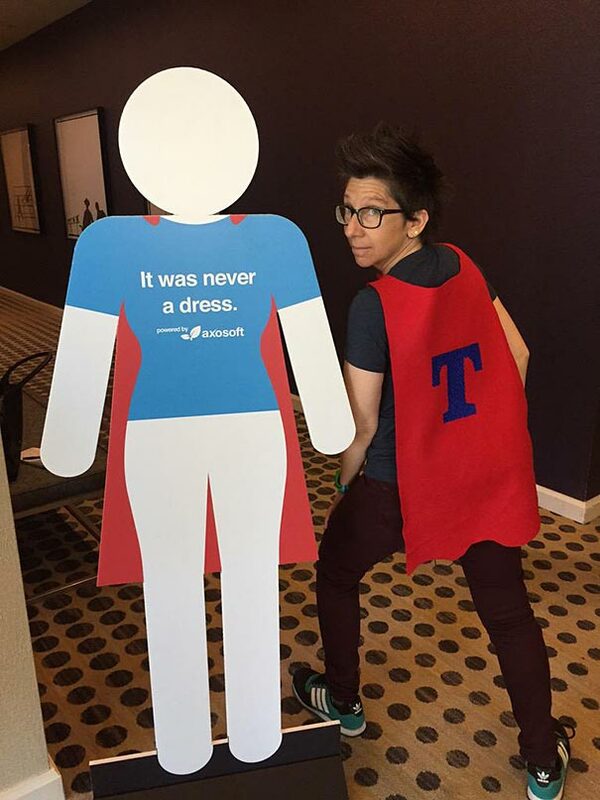 Tania Katan of Axosoft aims to change the way we look at ladies’ room signs. 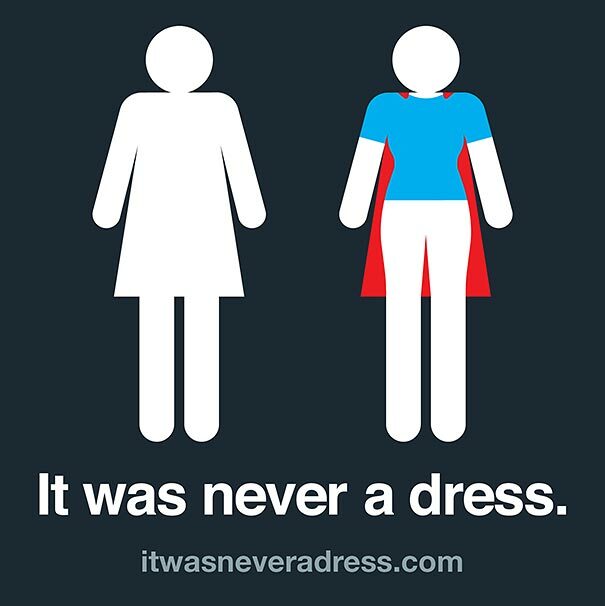 To many, if not ALL of us it typically looked like an abstract outline of a woman in a dress, but #ItWasNeverADress, launched by Tania, reimagines it as a woman in a cape! 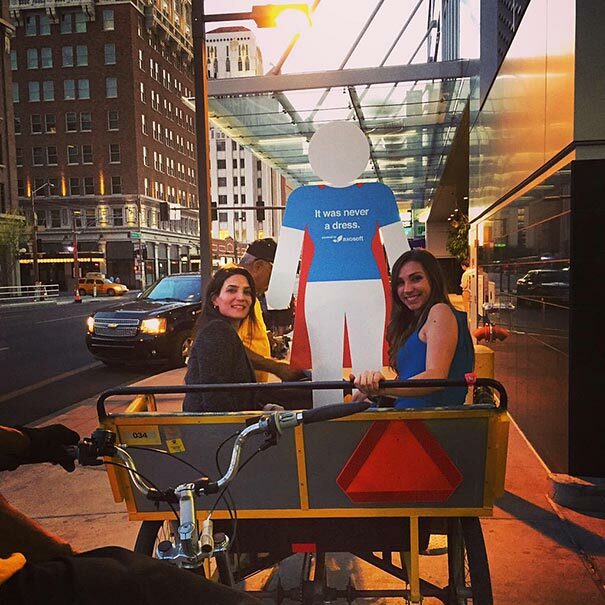 It is an “invitation to shift perceptions and assumptions about women and the audacious, sensitive and powerful gestures they make every single day”. The studies are also meant to empower women and encourage them to join the IT industry. 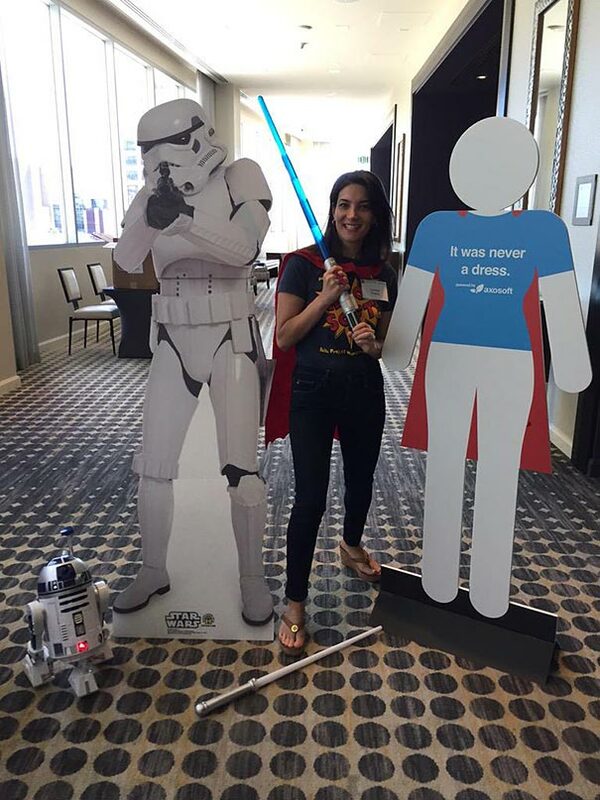 Here we have Tania, standing beside the campaign cut out that speaks volumes and changes our way of thinking.